Production process: Once optimum ripeness has been reached, the tempranillo grapes are harvested by hand and promptly transported to the winery. Following destemming and crushing, they are fermented in small, temperature controlled, stainless steel containers. The wine is then aged for 14 months in new oak barrels, of which 70% are American and 30% are French. Tasting: Cherry colour with deep red tones. 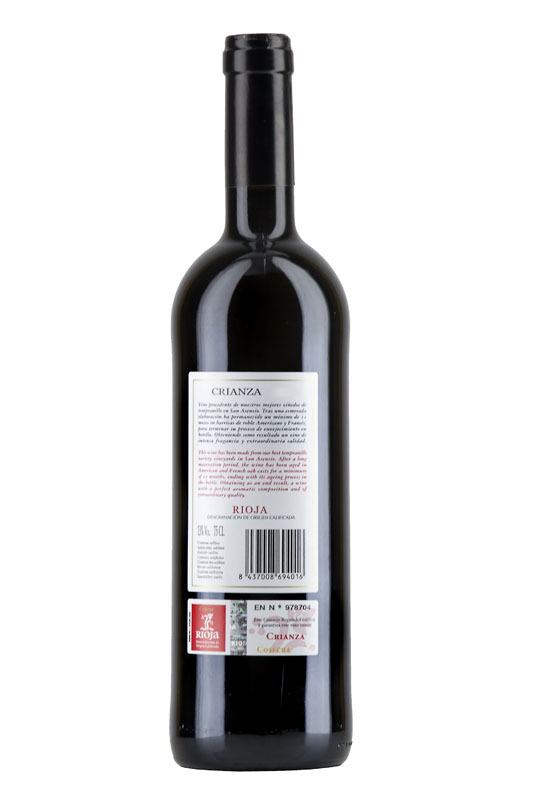 Ripe fresh fruit, pleasing woody, vanilla, cedar, toasty and spicy aromas. It is balanced, elegant, pleasant and sweet to the palate. Very good quality pleasant and polished tannins, with a pleasing and lingering finish.